Each Voweletics lesson teaches one new vowel skill. The Check Your Progress activity pulls all the skills together. At the end of each lesson, there is a cumulative list of words having all the vowel patterns taught in previous lessons. Check Your Progress is found at the end of the Student Workbook. 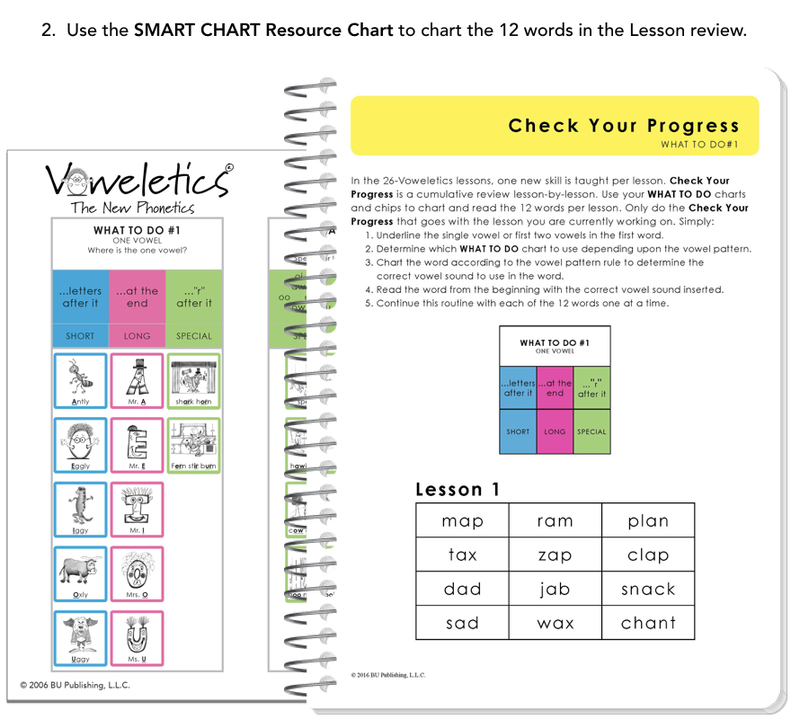 Use the SMART CHART Resource Chart for this activity. Your child will need to choose which one of WHAT TO DO rules to use based upon how many vowels there are in the word and where the vowels are placed.